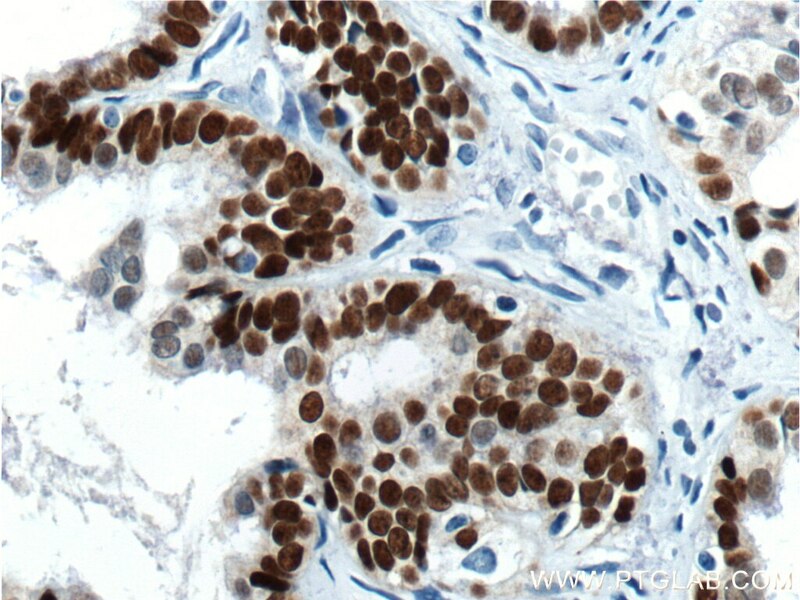 Immunohistochemical analysis of paraffin-embedded human ovary tumor tissue slide using 60145-4-Ig( PAX8 Antibody) at dilution of 1:800 (under 10x lens). heat mediated antigen retrieved with Tris-EDTA buffer(pH9). 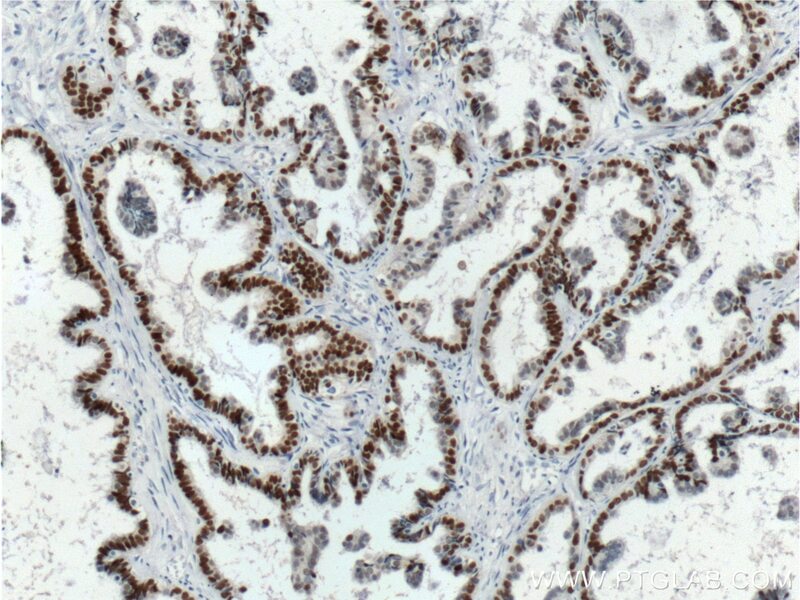 Immunohistochemical analysis of paraffin-embedded human ovary tumor tissue slide using 60145-4-Ig( PAX8 Antibody) at dilution of 1:800 (under 40x lens). heat mediated antigen retrieved with Tris-EDTA buffer(pH9). PAX8 has 5 isoforms with calculated MW 31kd, 34kd, 41kd, 43kd and 48kd. And there is a 60kd band corresponding to the electrophoretic mobility of PAX8 (PMID:15650356). It works well in Western Blot experiment. Xp11.2 translocation renal cell carcinoma with NONO-TFE3 gene fusion: morphology, prognosis, and potential pitfall in detecting TFE3 gene rearrangement. 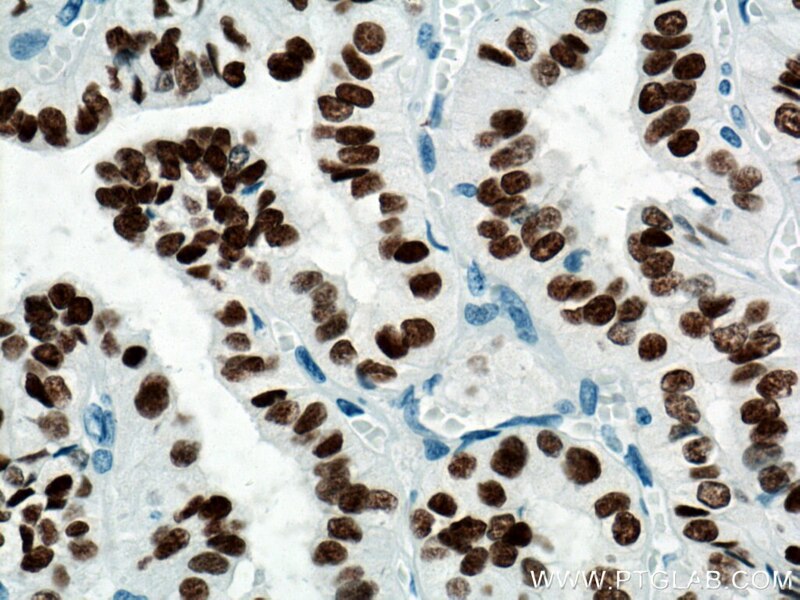 Immunohistochemical analysis of paraffin-embedded human renal cell carcinoma tissue slide using 60145-4-Ig (PAX8 antibody) at dilution of 1:6400 (under 10x lens) heat mediated antigen retrieved with Tris-EDTA buffer(pH9). 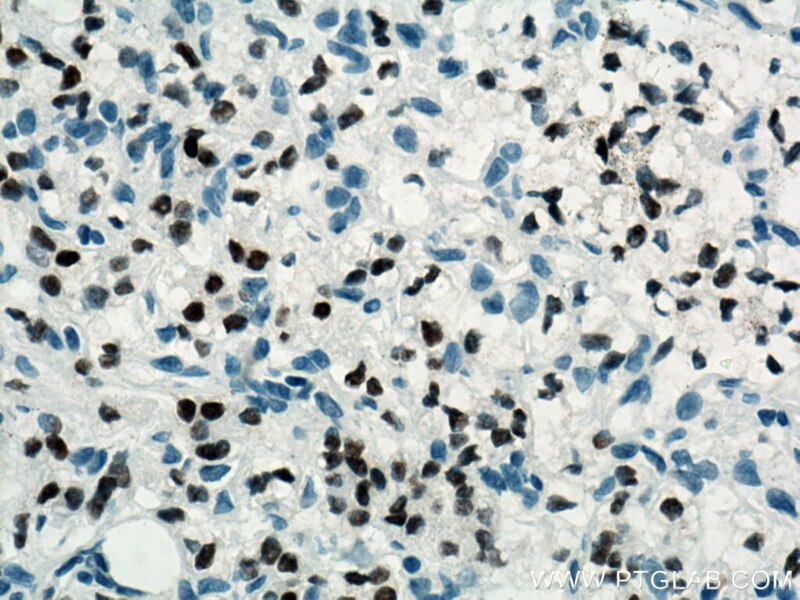 Immunohistochemical analysis of paraffin-embedded human renal cell carcinoma tissue slide using 60145-4-Ig (PAX8 antibody) at dilution of 1:6400 (under 40x lens) heat mediated antigen retrieved with Tris-EDTA buffer(pH9). 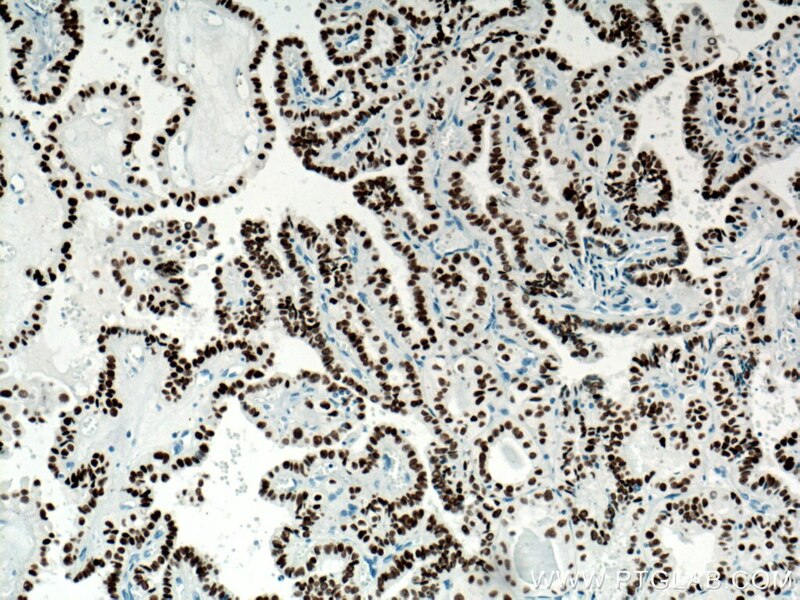 Immunohistochemical analysis of paraffin-embedded human thyroid cancer tissue slide using 60145-4-Ig (PAX8 antibody) at dilution of 1:12800 (under 10x lens) heat mediated antigen retrieved with Tris-EDTA buffer(pH9). 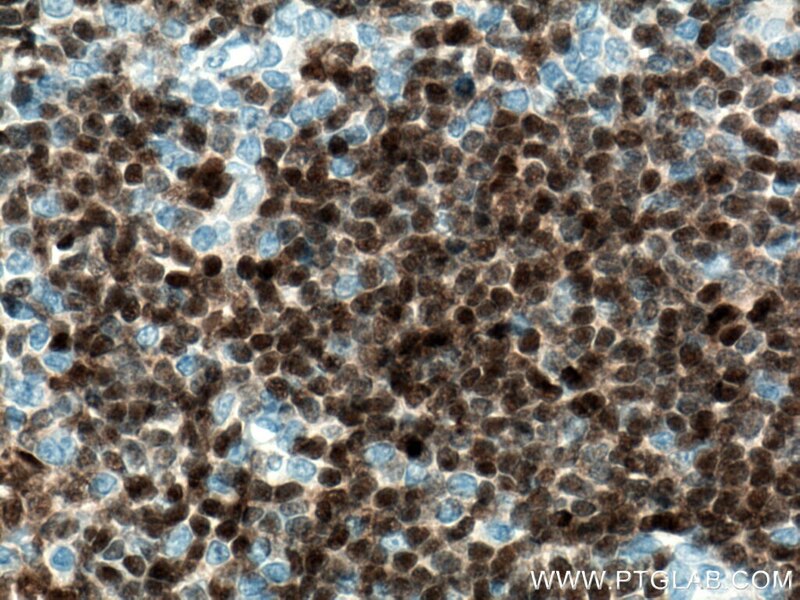 Immunohistochemical analysis of paraffin-embedded human thyroid cancer tissue slide using 60145-4-Ig (PAX8 antibody) at dilution of 1:12800 (under 40x lens) heat mediated antigen retrieved with Tris-EDTA buffer(pH9). 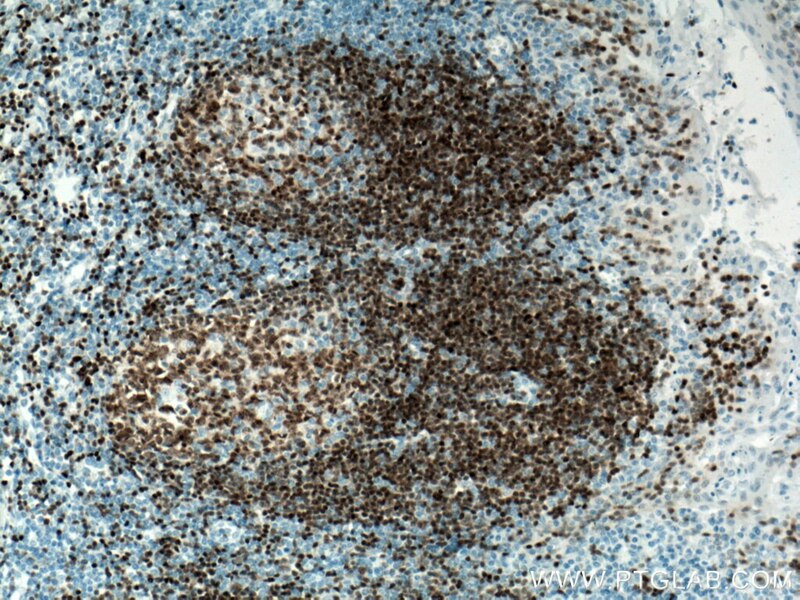 Immunohistochemical analysis of paraffin-embedded human tonsillitis tissue slide using 60145-4-Ig (PAX8 antibody) at dilution of 1:12800 (under 10x lens) heat mediated antigen retrieved with Tris-EDTA buffer(pH9). 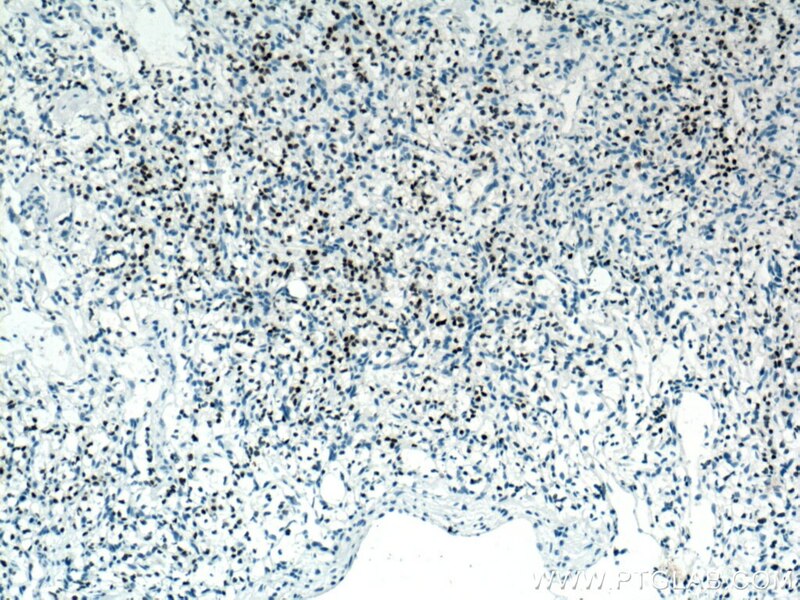 Immunohistochemical analysis of paraffin-embedded human tonsillitis tissue slide using 60145-4-Ig (PAX8 antibody) at dilution of 1:12800 (under 40x lens) heat mediated antigen retrieved with Tris-EDTA buffer(pH9).